Actor Ajay Devgn is now gearing up for his most ambitious project till date -- Shivaay. With the release of its first trailer, Shivaay comes across as a film with many mysteries, stupendous action and a breathtaking backdrop. However, the film's story is still under wraps. 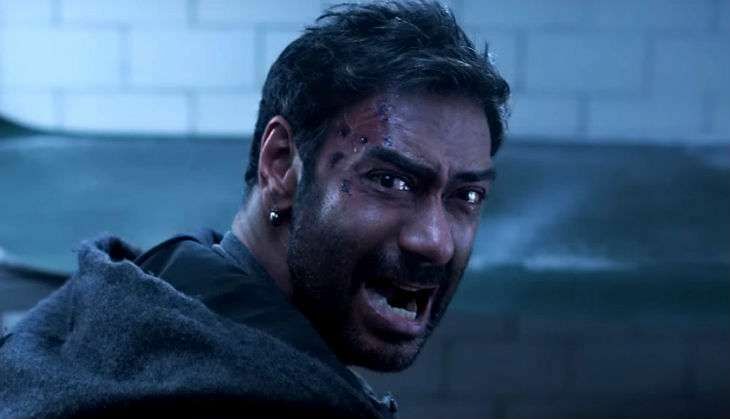 And while the makers have planned to release its second trailer to give away the details about the plot, Ajay Devgn says it is a story that he believed only he could tell. "I had my own thought process. The story that I wanted to tell, I felt only I could tell it. That is why I made the film. It is a family film. The action is a backdrop, but basically it is an emotional drama where a man is pushed to destroy everything possible because somebody is trying to destroy him. We had actually read an article which recounted a real life incident and we were moved by it. The film has been made on that thought process. We didn't follow it, but it was an inspiration." Shivaay's trailer sees Ajay jumping from snow-clad mountains, hanging on to a car, indulging in intense fight scenes with numerous car stunts... At the same time, his romantic and emotional side is also on display in numerous scenes. Ajay added: "The character's name is Shivaay and Shivaay is a god who has all the elements in a normal human being. If you read about all the other gods, all of them are perfect. Shivaay is innocent, who consumes bhaang and does whatever every person does, makes mistakes, gets fooled and will destroy everything if he gets angry. "If all these things are present in today's human being and if it is used well, how will that be... It is a wholesome entertainer but along with that it has the thought of the characteristics of Shivaay. We search for strength outside, but it is inside us. If we try to find it 'Har har mahedev', every person is Mahadev." Also read: Ajay Devgn brings down a prostitution racket in Shivaay? Shivaay, also starring Sayyeshaa, Erika Kaar, Vir Das, and Girish Karnad, releases this Diwali.